Nuns came to Ross River station one day and asked the Aboriginal mothers if they could take the children shopping for the day. 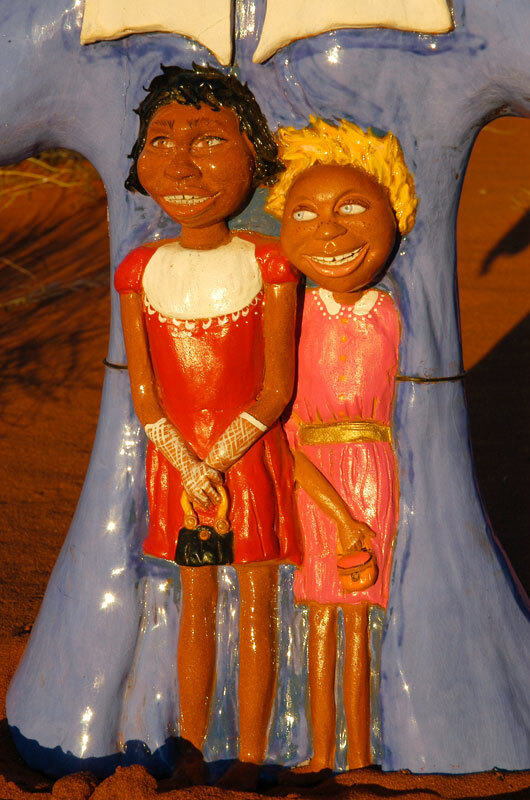 The children happily went with the nuns to Alice Springs but there was no shopping. They were placed Catholic institution and then moved to Melville Island mission in the Torres Strait. After more than 40 years, Zeta was re united with her family, however her mother, who had been told by white authorities that her daughter was dead could not accept her, but Zeta’s Aunties did welcome her back and she reconnected with her tribal lands. Zeta has no bitterness in her heart towards the Government, or the Church. She is a deeply loving and compassionate person. Her forgiveness is inspiring and humbling to witness.